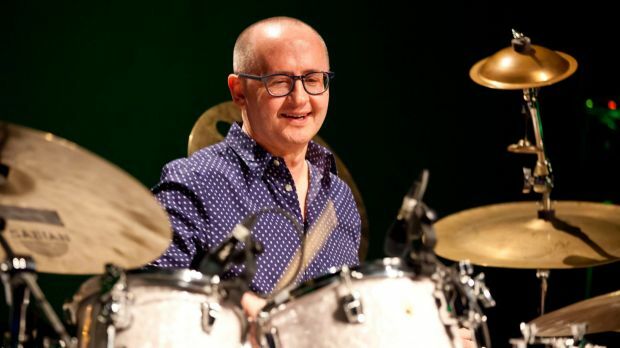 Master drummer David Jones discovered percussion and meditation were a surprisingly good fit after taking up the practice in 1984, spurred on by changes he saw in a musician pal who had adopted the mindfulness technique. “I thought wow, whatever he’s on, I would like some of that,” Jones says. It may seem paradoxical given the sound and fury of much drumming, but he found that discovering an inner stillness reinvigorated his passion. “It helped me so much, because I was a little bit lost with the music. I’d played for so many great artists, done my own projects,” says Jones, 59, who has performed with John Farnham, Dame Kiri Te Kanawa, James Morrison, Don McLean and Eartha Kitt. Jones appears on Sunday, October 8, at the Vintage and Custom Drum Expo in Marrickville to lead a workshop and also to inspire attendees with a 75-minute performance featuring African rhythms and funk grooves. His endlessly creative approach to percussion has seen him incorporate into his playing such unusual objects as a camping air bed pump, a novelty fly swatter and a toy sword he picked up at a Tokyo train station. Vintage and Custom Drum Expo, 10am-5pm, Factory Theatre, 105 Victoria Road, Marrickville, $12.50, vintageandcustomdrumexpo.com.